DA parliamentary leader Lindiwe Mazibuko angered ANC MPs yesterday when she accused President Jacob Zuma of putting his ambitions before those of the country. Mazibuko said Zuma’s term in office had been “directed by remote control” by a number of interest groups that included trade union federation Cosatu, the SA Communist Party and what she termed a “state within a state” in the security services. 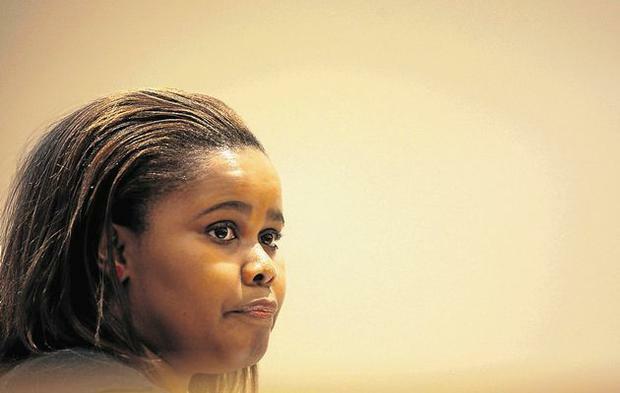 She also slammed him for his handling of the saga involving suspended crime intelligence boss Richard Mdluli. But it was Mazibuko’s request to Zuma not to avail himself for re-election at the ANC’s elective conference in Mangaung in December that seriously irked ANC MPs, including a number of ministers. As some howled her down, others rose to raise points of order, arguing that her attack on Zuma was unparliamentary. But their objections were overruled by deputy speaker Nomaindia Mfeketo.